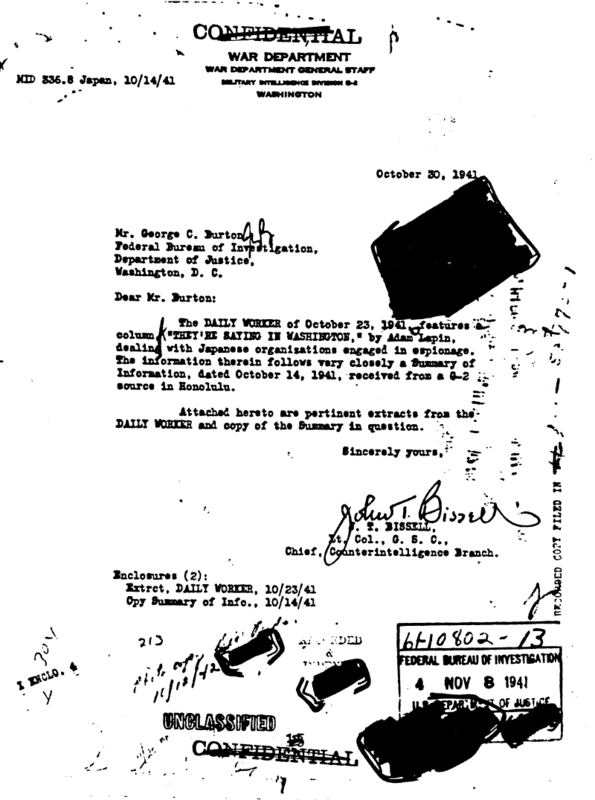 Document Notes: War Department report on Daily Worker article on Japanese espionage in the U.S. The Daily Worker information closely parallels information from the Military Intelligence Division in Hawaii. Of interest is the report that the German and Italian consulates have been closed down but not the Japanese. The likely reason for this is that the Japanese consuls were transmitting valuable information to Japan using the Purple Code (Magic) and the U.S. wanted to read as much as it could, while it could.